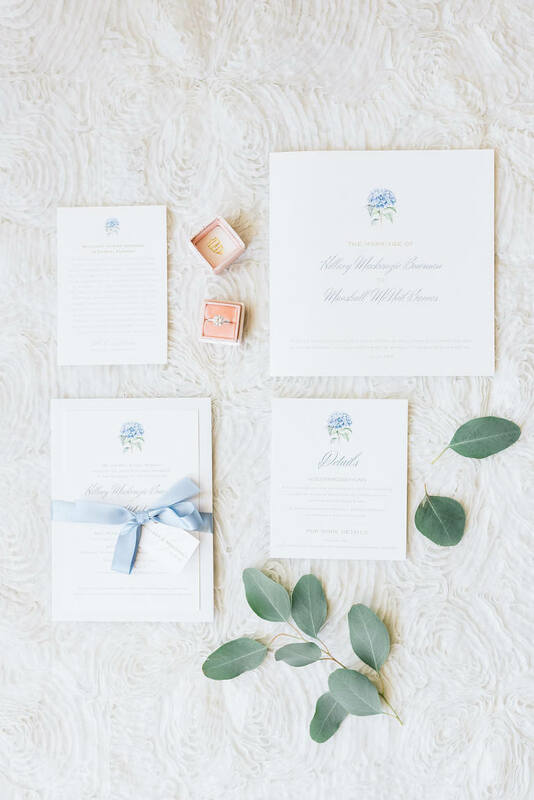 Hillary and Marshall’s charming Safety Harbor wedding combined colorful Scottish traditions with charming personal details for the bride and groom’s elegant celebration. Looking for a church that was open and airy was important for the Tampa natives and when they arrived at Harborside Chapel everything seemed to fall into place. 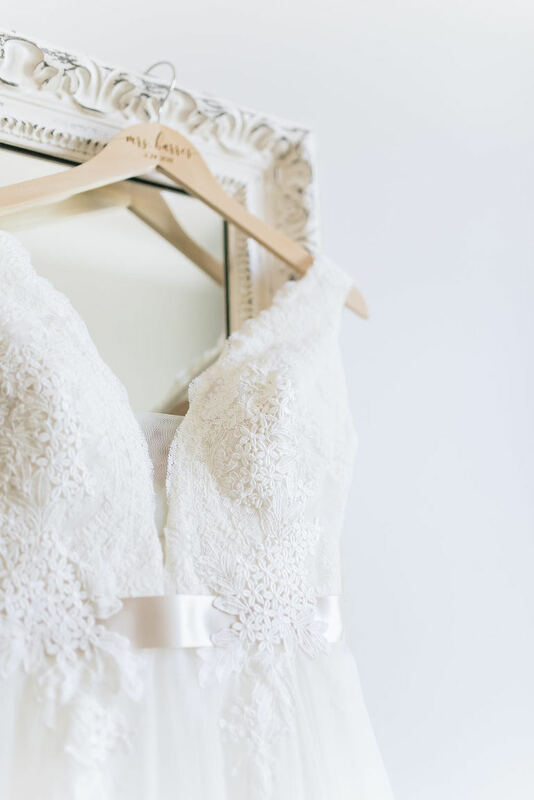 Since the couple met and fell in love in Tampa Bay, they knew it was important to incorporate a local reception venue that was elegant and historic. Wanting to stick to a budget but provide their guests with delicious food, the bride and groom selected Olympia Catering for their ability to listen intently and deliver flawlessly. 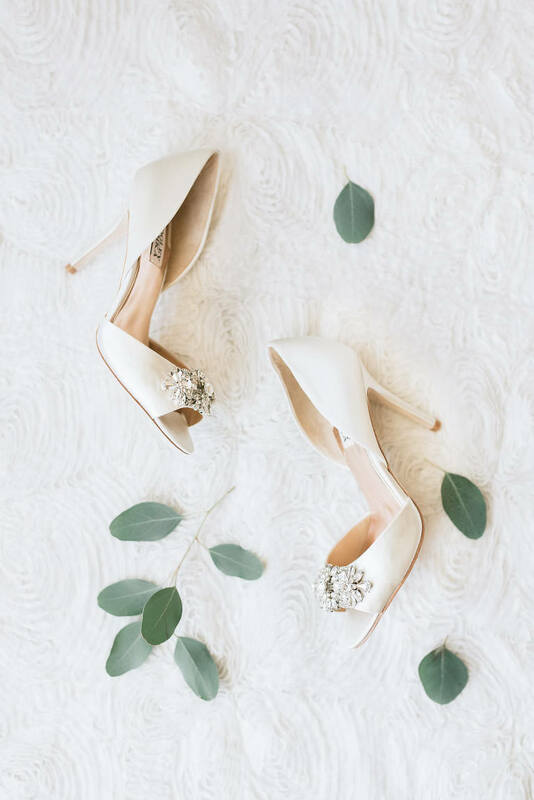 Looking back on their special day, the bride cherished her first glimpse of the groom and spending time with friends and family. What were your hair and makeup inspiration? I knew I wanted something soft and romantic, but I still wanted to look like myself. When I went in for a trial, the team at Michele Renee The Studio nailed my hair, but my makeup was too much and I didn’t feel like myself. After expressing this, they offered for me to come in for another trial, free of charge, to work with me again. They really listened to my feedback and nailed the second makeup trial. On the day of the wedding, they arrived on time and even came to the chapel with us to help with any last minute touch-ups before we started taking photos! What did you look for in a wedding ceremony venue? I knew I wanted to get married in a church, but I wanted it to feel classic while still being warm and inviting. Harborside Chapel will contact you shortly! I grew up in Safety Harbor, FL so it was only fitting I get married there. The moment I saw Harborside Chapel I knew it was exactly the look and feel I was going for! Plus, what made it even more perfect for us was the fact that it was located on Marshall Street! Throughout our planning, Krystal and the staff were absolutely amazing to work with and made the whole process run so smoothly! On a Monday night in February, I was watching The Bachelorette waiting on one of my friends to head over. When she arrived, she had brought her friend Marshall with her. As Marshall and I started talking, we instantly connected over traveling and within ten minutes he had me cracking up. Over the next couple of months, we lost touch, and it wasn’t until Marshall moved to the Tampa area that we saw each other again, this time at church. After running into each other periodically, Marshall asked me out on a date. He gave me a date card with the words, “let’s go back 100 years.” Yes, like on The Bachelorette! We went to the Columbia in Ybor City, and, just like in the show’s one-on-ones, he asked me if I would accept his rose! We continued our date at a speakeasy bar where we talked about family, friends, life, and God. To finish the night Marshall took me on a walk down Bayshore Boulevard, where we settled onto a bench and shared our first kiss. When he proposed, Marshall took me back to that very bench, covered with rose petals and got down on one knee! What did you look for in a wedding reception venue? We were going back and forth between St. Pete and Tampa, but the more we thought about it, the more we wanted it to be in Tampa. Our history together is all centered around Tampa, so we wanted to celebrate our marriage in the same town we fell in love. We knew we didn’t want a typical ballroom feel so the fact that The Vault offered more of an open space that let us incorporate our own personal touches was perfect. It was important for us to find something that was classic with a bit of history and given the background of The Vault, we were very happy with our choice. Everyone we met was wonderful to work with. The team was always accessible and willing to meet as many times as we needed to figure out all the details. Olympia Catering exceeded all of our expectations and was hands down, one of the best vendors to work with. They took the time to help me figure out exactly the look I was going for and how we could achieve that while staying within my budget. When we showed up on the wedding day, they had added little touches on the buffet station, to help dress it up but still stay within my color scheme and style. I knew I wanted to do donuts instead of a cake. I wasn’t sure how I was going to get the donuts displayed since I went through a different vendor for the donuts. Olympia Catering stepped up and set the whole display up for me. They even had the donuts specifically organized on the donuts wall so it made a cool design. All those small details that I didn’t even think about really showed on the day of. Also, their food was outstanding! 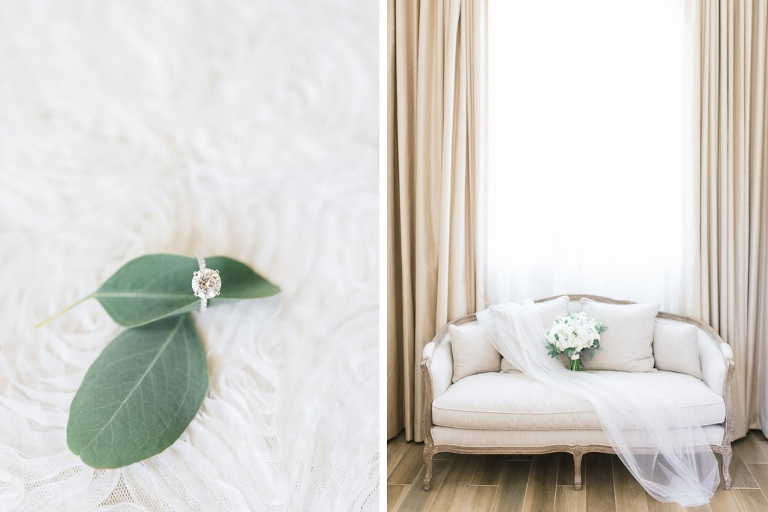 We really wanted to capture a classic yet romantic vision while still highlighting soft and warm accents. Dusty blue, navy blue, gold, and white. Make your wedding unique to who you are as a couple. Do what makes you happy and enjoy the whole process leading up to the big day!